Kicking off at Craven Cottage for Fulham's clash with reigning champions Manchester City, the campaign runs between Saturday 30 March to Monday 8 April, carrying a clear message that racism is not acceptable in the Premier League or the wider game. No Room for Racism and Kick It Out branding will feature across stadia for the next two rounds of fixtures. Premier League skippers will also wear Kick It Out captain's armbands at all matches in recognition of the contribution made by the organisation in tackling discrimination in football over the last quarter of a century. 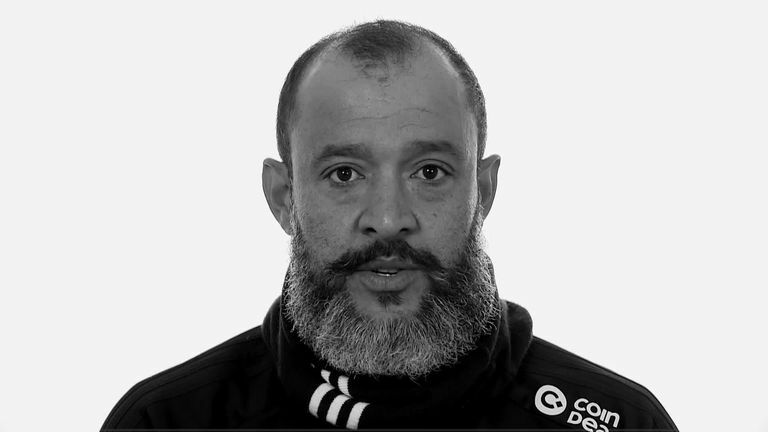 A nationwide advertising campaign across digital and social channels accompanies the scheme, featuring some of the Premier League's best players and managers. Premier League interim chief executive, Richard Masters, said: "It is evident there is still a minority of people who think discriminatory behaviour is acceptable, but the No Room for Racism campaign makes it clear that it will not be accepted by the Premier League and our clubs. "We know how passionate football fans are, but this should never lead to any form of prejudice. We want everybody to be positive and respectful, create a welcoming atmosphere and show that football is everyone's game." The campaign was devised following a meeting between the Premier League and its member clubs where there was a consensus view that more needs to be done to promote inclusion and diversity in football. 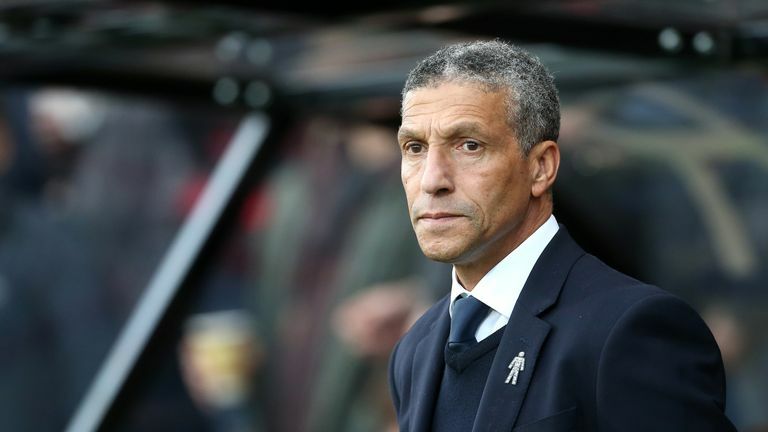 Premier League clubs have also committed to improving career pathways and opportunities to encourage more people from different backgrounds to take up coaching, refereeing and administrative roles in the sport. 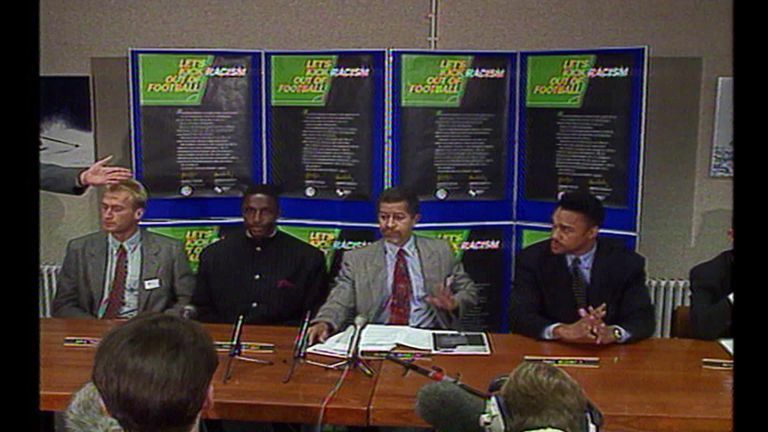 Take a look at our Sky News report from the 1993 launch of football's anti-discrimination campaign Kick It Out. "Together with our clubs, we are proud of the diversity throughout the Premier League, in the stands, on the pitch and within our communities," Masters added. "Working with Kick It Out since 1993, great progress has been made in tackling racism through a range of initiatives and club partnerships. "We are also aware that much more needs to be done, and the Premier League is committed to further promoting inclusion and diversity throughout our competition and beyond."